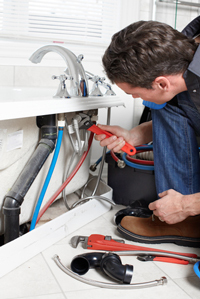 Plumbers in Orange County & Los Angeles CA | RPB Inc. Same day service* - or you will receive 15% off our standard rate! With our experience and workmanship, it’s only natural that our plumbers are the best in Los Angeles, Orange County and surrounding cities. RPB uses state-of-the-art repair and installation methods, and top-grade equipment to meet your heating service needs quickly and efficiently. Our skilled, licensed professionals know all the ins and outs of air conditioning repair, maintenance and installation. With our work ethic, experience and workmanship, it’s only natural that our plumbers are the best in Los Angeles, Orange County and other surrounding city areas. RPB Inc. is a family-owned and operated company offering experience and plumbing expertise in residential plumbing services. We pride ourselves in complete customer satisfaction, and our affordable Los Angeles and Orange County plumbers get the job done right the first time. Not only can we improve the health and safety of your plumbing system, but we can also improve the comfort and convenience of your family’s lives. Keep your life running smoothly and trust in RPB Inc. for all of your residential plumbing needs! Not only do we pride ourselves in being technological leaders with fortified skills, we will give you a pleasurable plumbing experience guaranteed to leave a smile on your face. No residential job is too large or small for us and we are happy to assist our valued customers in any way possible. Don’t believe us? Check out or Client Testimonials to see for yourself. New Plumbing Fixtures–Toilets, Faucets, Sinks, Tubs, Garbage Disposals, and more. *Service must be scheduled before 12:00 noon. Why Choose RPB for Your Plumbing Needs? We believe that our company embodies affordable, high-quality work and professionalism. We are constantly learning new, modern practices within the industry and the experience and expertise of our staff far surpasses any other company in the area. We stand behind only the best, most reliable products and brand names including Bradford White, Rheem, Amana and Goodman Manufacturing. We offer special offers and discounts on residential services and always have something special to offer our valued clients. Ensuring customer satisfaction and excellent service comes naturally to us through our family-owned and operated, professional business values. Join us in the continuation of our journey in being the leading plumbing, heating, air conditioning and electrical company in Los Angeles, Orange County and surrounding areas. Call 562-925-2838 or 714-994-0254 today to speak with an RPB Inc. representative, or contact our plumbers online. Copyright © RPB Inc. Plumbing, Heating & Air Conditioning Services 2012. All rights reserved. Site design by Dallas SEO Company Advice Interactive Group.